Speaker of the House Nancy Pelosi's luggage has been returned to the halls of congress by cart, according to a picture sent to the Washington Free Beacon by a snap-happy tipster. 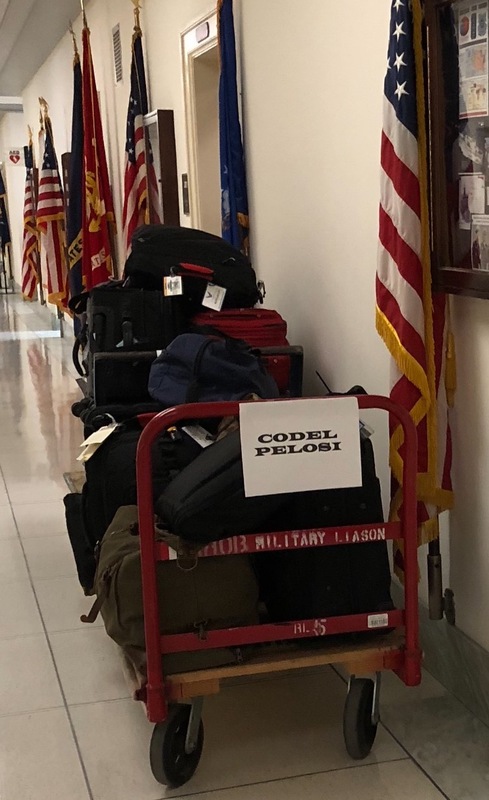 The picture shows the luggage were returned to Pelosi on "military liaison" marked carts. Pelosi's bags were packed for a congressional trip to Belgium and Afghanistan, but the trip was canceled just before the delegation was set to leave by President Donald Trump, who let her know in a letter that she would have to fly commercial if she still wanted to make the trip. The letter was released shortly before Pelosi was scheduled to depart by White House press secretary Sarah Sanders. 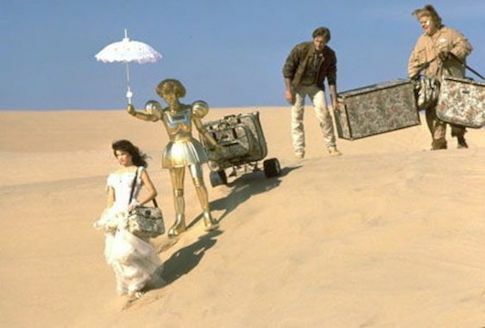 It's unclear whether all the luggage belonged to Pelosi.